Remember the Motorola razor? Well we might just be getting a 2016 flip phone revamp thanks to Samsung, apparently. If I'm honest the last thing I expected to see in an Adele video was a good old fashion flip phone that made us all simultaneously yell WHOOOOOO Scott Mills style at our screens. I mean, no touch screen? WHAT ABOUT EMOJI'S? Unless she's planning on sending an actual photo of a cheeky aubergine to her pals? Now, Samsung have put our smartphone needs and flip phone dreams into one device, the SM-W2016 complete with the QWERTY keyboard. Remember when you used actual buttons instead of our touch screen alternatives... we're talking multiple taps to get the right letter or get really annoyed when you've gone too far. 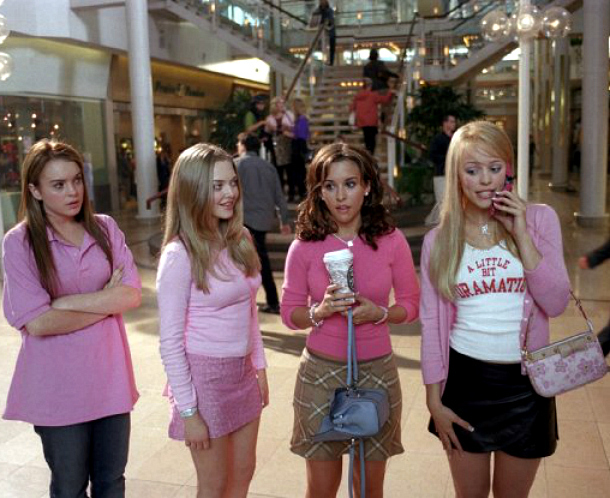 We can all now perform the Regina George sassy flip shut hang up we desire. Thank you Samsung, thank you. Ahhhhhh I think I might actuallly prefer that to my iPhone, maybe..
Hahaa I saw this in the news, about time too! Will be interesting to see how well it does, having to rely on autocorrect because the keys on a touch screen are too darn small is so annoying!